Feel the NVMe difference. 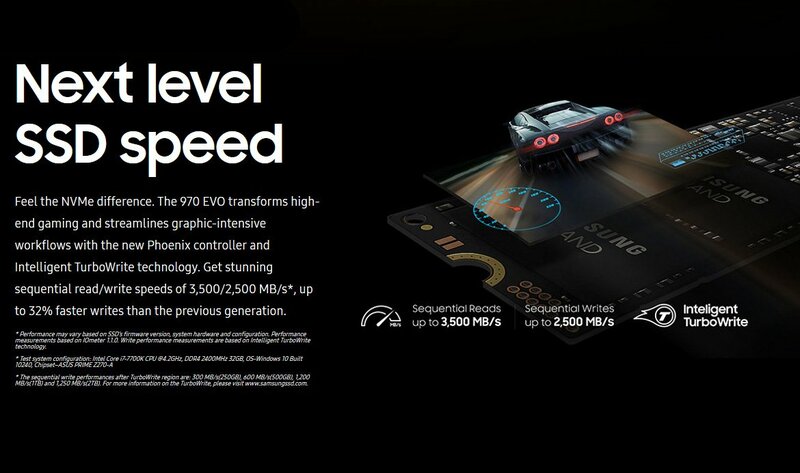 The 970 EVO transforms high-end gaming and streamlines graphic-intensive workflows with the new Phoenix controller and Intelligent TurboWrite technology. Get stunning sequential read/ to write speeds of 3,500/2,500 MB/s**, up to 32% faster writes than the previous generation.